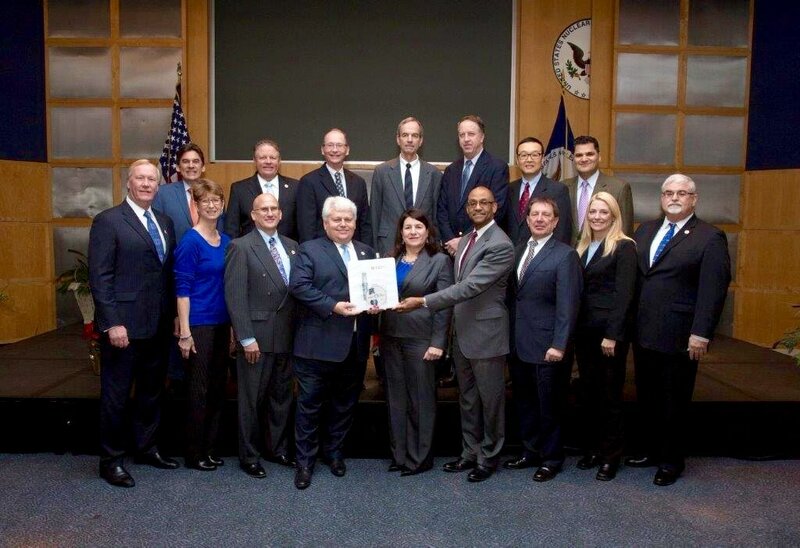 Today the NuScale Power executive team officially delivered a 12,000-page application to the US Nuclear Regulatory Comission to license the NuScale small modular reactor power plant design. Nuclear engineers are really excited because this is the first reactor of its kind to undergo the licensing process, bringing it a huge step closer to commercialization, but why should you be excited? The global demand for energy is growing, and we need more clean energy options to reduce pollution, impact on the environment, and mitigate climate change. NuScale's reactors and power plant are designed to be scalable and flexible to meet a variety of energy needs, including generting carbon-free electricity, load-following with renewables, desalinating water, supplying microgrids, and more. NuScale's goal is also to make it economic by driving down the cost and construction time with modularity and assembly-line fabrication. 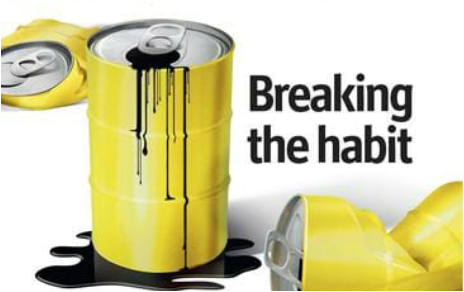 This is a game-changer for the energy industry. In a time when it seems that everything coming out of the government is negative...it's nice to hear about a project that's gone well. NuScale recieved investment from the US Department of Energy, matched by Fluor Corporation, to develop this design and submit it to the regulator for review. Therefore this milestone shows that public-private partnerships work and sharing the risk between the government and private sector allows for large innovative projects like this to succeed. Advanced nuclear reactors are safer, can recycle nuclear waste as fuel, use different fuels like thorium, and even be made small enough for household use. NuScale is the first design of this new era of advanced nuclear to go through the licensing process, which will pave the way for even more innovative reactors to come to market and create a truely sustainble clean energy system alongside renewables. Full disclosure, I work for NuScale so of course I'm excited! Having only been with the company for a few months, I've already been very impressed by the level of dedication and enthusiam by the team to design an energy source that has the potential to change the world. There is still a lot more work to be done but this milestone represents a huge step forward. Last year I wrote about how 2016 could be the year for nuclear energy, in terms of finally being accepted as a clean energy. 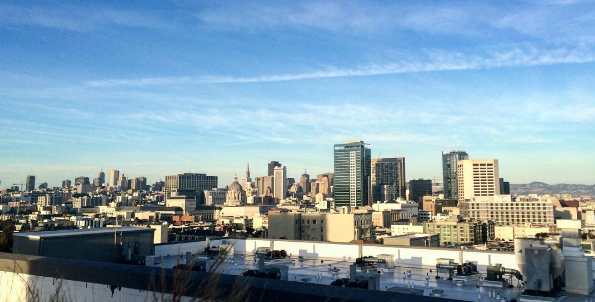 While we've crossed some important hurdles and made even more progress in 2016, there is still a lot of work to do. These resolutions are for environmentalists, ecomodernists, climate change denialists, futurists, and whatever other -ist you might be. The fact is that the modern world relies on energy - and we need to be smarter about it. All of the "ists" mentioned above want the same thing, to prosper as a society now and in the future. We have many different ideas on how to do this, and we all have an agenda that we want to further. We should each keep working on our projects, innovations, and policies, but we need to be open to the ideas of others. Solutions to abundant, economic, and sustainable energy will involved renewables, and nuclear, and yes, even fossil fuels - not to mention anything else we come up with in the meantime: hydrogen fuel, mass energy storage, fusion, etc. Fighting against each other is not helping us reach our goals. The best solutions to big problems come from people working together, so let's put that into practice. There are many reasons why we shouldn't take our natural resources for granted. They will not last forever and we may destroy our environment. I believe that we can prosper as a society without compromising our planet. But governments, companies, and consumers need to take responsibility for taking progressive action. Right now, we penalize those that abuse the environment. But when people can take responsibility for a common cause, as many companies and consumers are already doing, then we come up with better and more economic solutions. Instead of penalizing, let's reward those that are taking responsibility and leadership to conserve our natural environment. From fire to coal to gas, fossil fuels have allowed us to grow and prosper and modern society is still very much dependent on them. But it's time to upgrade the energy system to technologies that are more advanced and abundant. Science fiction stories always have some sort of "unlimited" energy source. Well, we have the technology to this; it doesn't have to be fiction. We were able to develop nuclear weapons in a matter of months (a bad thing but an amazing story nonetheless) and get a man on the moon - before computers or the ability to bring masses of global minds together. With some drive and commitment, the impossible becomes possible. And hopefully it doesn't take a war or an energy crisis to motivate us to innovate. 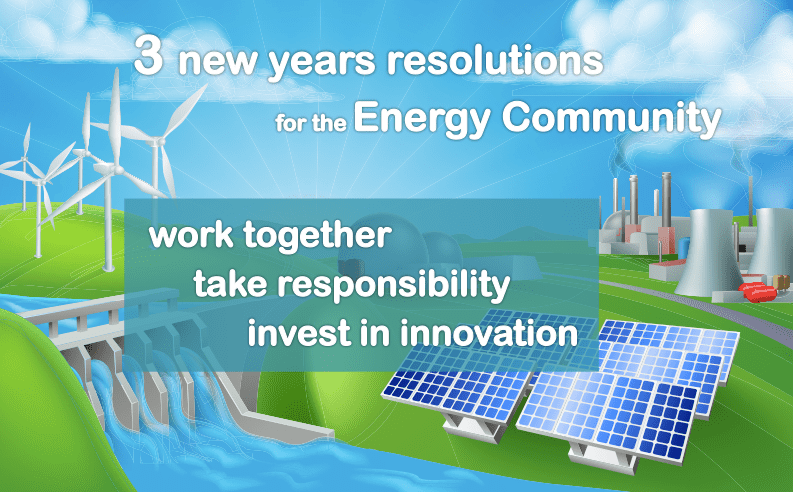 Let's make 2017 about moving past our differences, using our resources responsibly and investing in the future of energy. This way, we can all win. Also, don't forget to vote for my video in the Abu Dhabi Sustainability Week blogging contest! To vote, just rate it using the stars on the bottom of the post. This video is my entry to the 2017 Masdar Engage Blogging Contest, part of Abu Dhabi Sustainability Week. Vote here for my video! Masdar’s Global GenZ Sustainability Survey found that we believe that climate change is the biggest threat over the next decade. The solution to mitigate climate change lies in energy and we need to develop energy technology that is not only clean and reliable, but also affordable and abundant. Small modular reactors are simple and flexible and can be scaled up or down according to needs. This advanced nuclear technology is ready to be deployed by 2026. All we need is additional investment for commercialization and push from policymakers to make it happen. This letter to the editor is a response to The Economist special report on oil published in the print edition on November 26, 2016. I can assure you that the role of nuclear technology in the energy market is not fictitious. Nuclear energy has been a threat to the oil industry for decades. Why do you think oil companies secretly funded anti-nuclear protests during the so-called “environmentalist” movement in the 1970s? They continue to invest in renewable technology not only to diversify but also because they know that intermittent renewables are create dependency on fossil fuels. Nuclear energy, other the hand, can provide reliable baseload and peak power without producing greenhouse gases, making a fully-electric (and clean) transportation system possible. The Economist usually produces very honest and thorough publications and fairly represents nuclear energy. I hope that you recognize this oversight in reporting. British Columbia’s electricity is generated by 98% renewable energy, predominately from hydro. It’s great that they have this vast natural resource but developing countries in arid regions – like South Africa – don’t. Getting to 100% carbon-free generation is not possible with only renewables. Mandy Rambharos (Climate Change and Sustainable Development Manager at Eskom in South Africa) was one of the first people I heard at COP22 to speak pragmatically about climate change and sustainable development issues. South Africa generates over 80% of its electricity from coal. It doesn’t have water resources for hydro; it does have vast coal and uranium resources. The country is still developing and has a 45% unemployment rate. It needs cheap electricity to continue to develop but also realizes the very real threats of climate change. How can developing countries like South Africa manage the competing issues of sustainable development and climate change? 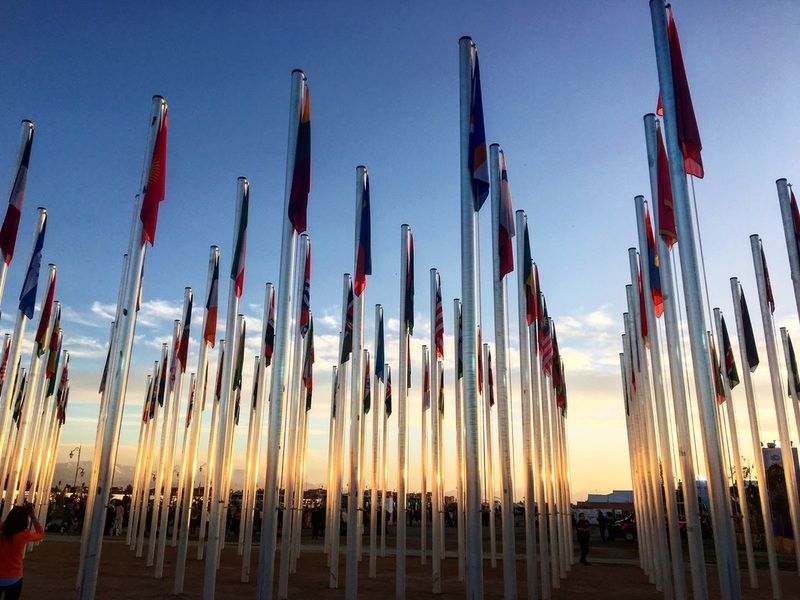 In the delusional policymaking world of COP22, Mandy is a breath of fresh air. She speaks pragmatically about the issues facing developing countries. It’s not just about climate change; it’s also about poverty, clean water, development, jobs, etc. South Africa needs low-carbon AND low-cost solutions for power generation. They are looking at nuclear energy and carbon capture and sequestration – both “unpopular” technologies, according to Mandy. The United Nations Framework Convention on Climate Change runs the Conference of the Parties and I’m currently at the 22nd conference – hence COP22. The UN and COP have continually ignored the essential contribution that nuclear energy – and other technologies like carbon capture and sequestration – can make in reducing emissions from the energy sector. The UN does not promote specific technologies but allows for the 100% renewable message to be spread, a goal that is not possible for many countries to attain and thus counterproductive to climate change mitigation efforts. The UN also has a set of Sustainable Development Goals, some of which are at odds with climate goals. How can we expect countries like South Africa to develop sustainably without access to cheap electricity? We need to use ALL available technologies to reduce the cost of clean energy. The UN and its member countries need to take leadership roles in advancing all low-carbon technology, including nuclear energy. “So, what do you do?” The dreaded question. It’s almost as complicated for me to answer as “Where are you from?” (The answer to that, in case you’re wondering.) When I tell people that I’m a nuclear engineer, the conversation never stops there. People don’t just say “oh, ok” when I drop a bomb like that. It all starts in the small town of Trnava, where my parents are from in Slovakia. My dad worked on the city’s district heating project, which brings steam from the nearby Bohunice Nuclear Power Plant to the city’s buildings for heat. My dad, like most people in Trnava, was supportive of the nuclear plant because it brought clean electricity and heat to the city – and because there was no negative protesting to garner public fear in a communist government. And really no choice or public involvement as to whether there should be a nuclear power plant or not. My parents left Slovakia to immigrate to the U.S. when I was very young. As a result, I traveled a lot as a kid going to visit my grandparents and cousins in Slovakia every summer. My first international flight alone, I was 8 years old. I really liked flying and idolized the flight attendants and pilots – this was back when they would still let you see the cockpit. I think this is what initially inspired my curiosity for science. Growing up, my dad and I talked quite a bit about science and technology and he always told me “don’t believe the environmentalists,” they’ve actually done more harm than good for this planet. As in, if the environmentalist movement hadn’t protested against nuclear energy in the 1970s and 80s, we’d have a lot more carbon-free electricity from nuclear and a lot less coal plants. My favorite classes in high school were marketing and business, but I was also good at math and science. Along with my teachers and parents, we decided that engineering was probably the best option for me. I chose to attend college at Purdue University, because of their excellent aerospace program, and because Neil Armstrong went there. But what actually turned out to be the best thing about Purdue’s engineering program was the flexibility in the first year. You could explore all of the different types of engineering majors as a freshman and then chose one going into your second year. This gave me a chance to take an introductory class on nuclear energy – and I was inspired, also reflecting on what my dad always told me. I made the decision to go with nuclear engineering, finding the need for clean energy more pressing than exploring space (although that is still really important too). I wasn’t the best engineering student. I got through it, but not without a few bumps. I was much more inspired by the grand political issues of nuclear energy, rather than the science itself. I was also really good at explaining the science and technology in a way that “normal” people could understand. I discovered this skill through talking to my friends about nuclear energy and doing outreach to the local community. So I decided to focus my Master’s research on policy issues and then got a job working in government. But I didn’t find myself making the impact that I wanted to make. So I went back to my other passions: marketing and business. I applied to business school and decided do the international program at INSEAD, because energy issues are global. I considered many other career options at this point but was eventually convinced to go back to nuclear. My classmates said I was good at it, and I liked talking to them about it. So I finally made the decision that I was going to “be a nuke” and stick with it. I think that energy is one of the most pressing issues that we have today because it can have so many positive (economic development) and negative (climate change) affects. And I strongly believe that nuclear energy can make the positives even more positive and mitigate the negatives. Nuclear engineers are pretty bad at explaining how amazing nuclear energy is to the public. They focus on the science and the facts – which are important – but people are much more connected to emotions and personal stories. So, I’m not telling you why to support nuclear energy, but rather how I came to support it, and hopefully you trust me enough to open your mind to it, as well. For the second time this week, I met a random group of young people, that, when the conversation of nuclear energy came up, they all went around the table and said that they support it. Both times, this happened before I went into any sort of explanation about why they should. I have to admit that I'm surprised by these interactions this week because they happened in two of the most liberal cities in the US, San Francisco and Portland, where I always thought that people were "hippies" and didn't like anything hi-tech, especially nuclear power. While this might be true with older generations that grew up in the 1970s and 80s with the environmental movement protesting against nuclear energy, my generation is made up of "hipsters" that also go against mainstream thinking - but in a much more pragmatic way. We are coming to terms with the fact that we will see the effects of climate change in our lifetimes, and that we must use all available solutions to fight it. We realize that there are risks with every technology but that the risk of climate change is much greater. And access to energy is a human right, we can't live without it. As someone who has had to be on the defensive many times about my chosen career, my interactions this week have been invigorating. There are people out there who believe in what we're doing and see a bright future ahead for nuclear energy. ​This is the new environmental movement. China has already connected four new reactors to the grid this year and has 20 more under construction. I knew the magnitude of China's growth in the nuclear industry but it became even more apparent to me by seeing it first hand. The tone of this conference was different than that of the other nuclear-focused meetings that I've been to recently. In Europe, governments are phasing out nuclear energy and in the US, economics and subsidies are favoring natural gas and renewables over nuclear. But in China, nuclear is seen as essential to meeting the energy demand of a large and growing population. The sheer number of Chinese young professionals at this conference - and their excitement - proved the country's commitment to nuclear energy. While there were many female attendees at the Congress, from China and from around the world, there was not a single female speaker during any of the plenary sessions. We even had the Global President of Women in Nuclear speaking on a panel session, she should have been in a plenary! I know that plenary speakers are usually determined by the sponsors, but some effort can be made to promote diversity. It's not only that young women, like me, need role models in our industry, but young men also need to see that women should be successful in this industry. My main presentation was in the communication panel session, and it was very well attended and fostered a great discussion among the attendees and panelists. One thing that became apparent is that everyone recognizes and agrees that communication and stakeholder involvement are important, but most organizations are unwilling to allocate the necessary human and financial resources to get it done properly. This is because the value added from good communication is indirect and very difficult to quantify. I also participated in a workshop on World Wide Business, and we discussed the so-called "listening to talking ratio" between cultures. 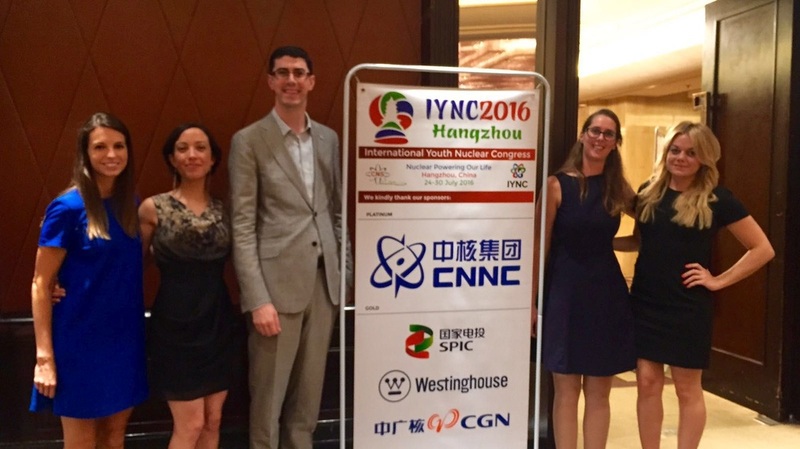 As the nuclear industry is becoming more and more international, it is essential for young professionals to be aware of the different ways in which culture communicate. For example, we can generalize that some cultures love to talk while others prefer to be polite and listen. Being aware of this and making sure that everyone is heard is important for effective intercultural teamwork. Hope to see you at the next IYNC conference in Argentina in 2018! Disclaimer: Any views here are purely my own. This article was originally posted on the ANS Nuclear Cafe. “A Tale of Two Cities” begins with the famous phrase, “It was the best of times, it was the worst of times, it was the age of wisdom, it was the age of foolishness,” and I think in many ways, that truly captures the current state of nuclear energy. 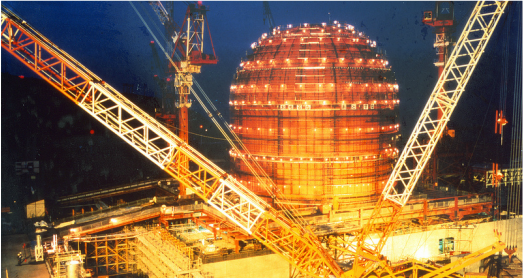 With 60 reactors under construction in 15 different countries, it’s hard to argue that nuclear isn’t undergoing a renaissance, although it’s not the renaissance many had predicted. Most of these reactors are being built in growing, energy hungry countries like China and India. Additionally, four reactors are under construction in the US, and Watts Bar 2 is now finished, has gone critical, and is producing electricity. In the US and Germany, nuclear reactors are being shut down. While in Germany this is primarily occurring due to politics, in the US, reactors are shutting down primarily due to economics. Kewaunee shut down in 2013, Vermont Yankee in 2014, and now Fort Calhoun will be closing this year, FitzPatrick and Clinton are scheduled to shut down in 2017, Quad Cities in 2018, with Pilgrim and Oyster Creek in 2019. Even closures of San Onofre and Crystal River 3 were related to economics, in that it would take too much money to fix the plants. There are other facilities which are also at risk of closure, including Ginna and Nine Mile Point Unit 1. Additionally, Diablo Canyon, the last nuclear energy facility in operation in California, has decided it will not seek a relicense for its two units, meaning they will close in 2024 and 2025. Given all that, it does seem the federal government and certain states are starting to wake up to the realities of the impacts of closing nuclear facilities. The Department of Energy recently held a large Summit on Improving the Economics of America’s Nuclear Power Plants, where Senators, Representatives, industry leaders, regulators, scientists, advocates, and even the Secretary of the Department of Energy spoke about the value and importance of nuclear, and what policies could be enacted to keep these facilities running. Additionally, N.Y. state has proposed a plan to help struggling nuclear facilities by providing them zero emissions credits, which could be sold on a market. It’s quite clear that man made climate change is a major problem, and the vast majority of ANS members agree. 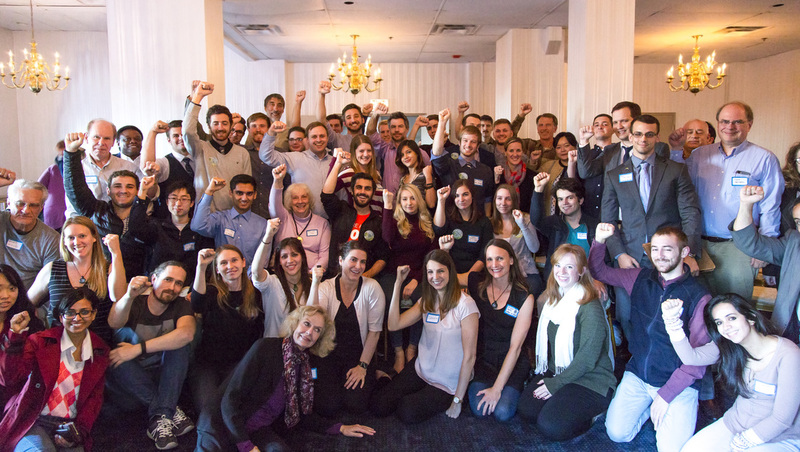 ANS has collaborated with 39 other nuclear societies around the world and made a clear statement, “Nuclear energy is a part of the solution for fighting climate change.” And yet, nuclear facilities, which provide 60% of the low carbon electricity in the US, are still being shut down, primarily because of the cheap price of fossil fuels. Deciding to close these critical pieces of infrastructure at a time they are needed the most is foolish, as making permanent decisions based on short term economic situations usually are. But it is hard to place all the blame on the company making the decision – companies need to make money, and it’s hard to justify keeping a plant open when it is losing money. That’s why we as Young Members must start advocating for solutions. ANS’ Special Committee on Nuclear in the States recently published a Toolkit of these solutions, which is available here. If we do not act, more nuclear facilities will close.